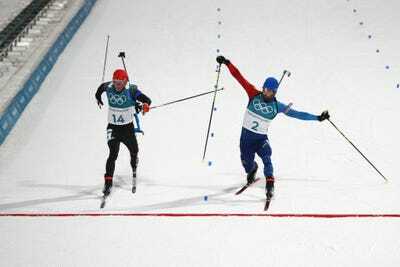 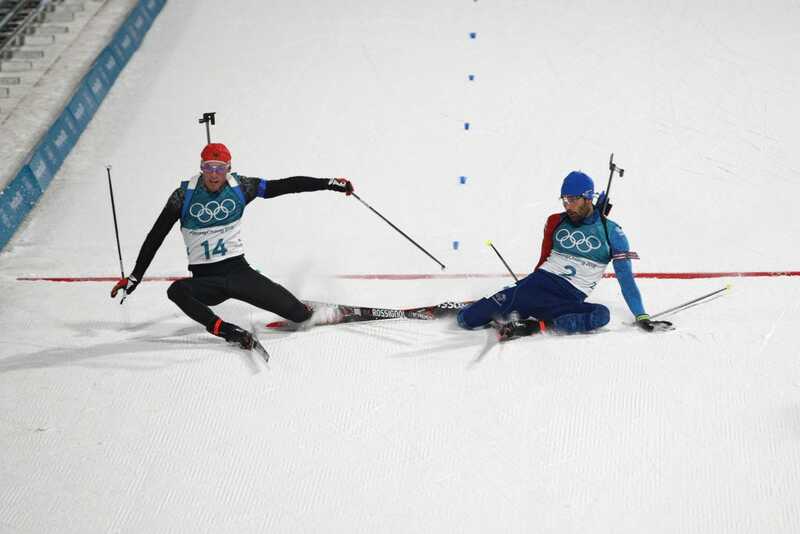 Biathlon is one of the more gruelling sports of the Winter Olympics and the men’s 15km mass start came down to a photo finish. 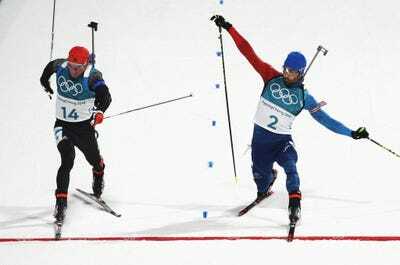 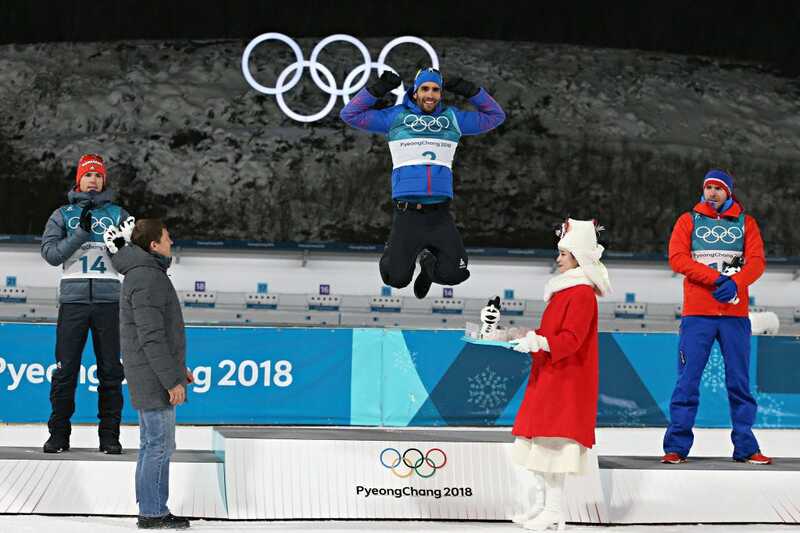 France’s Martin Fourcade was awarded the gold medal by mere millimetres. 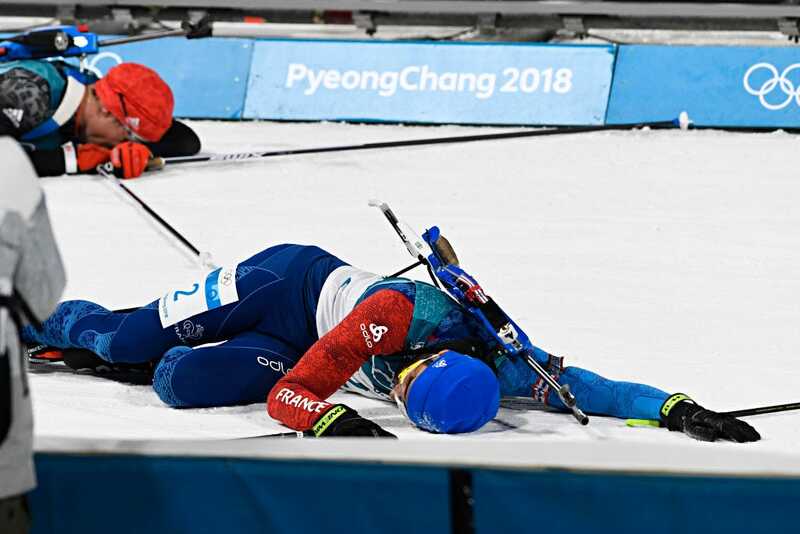 Biathlon is one of the more gruelling sports of the Winter Olympics, combing the endurance of cross-country skiing with the ability to control nerves and precision while shooting rifles at a small target. 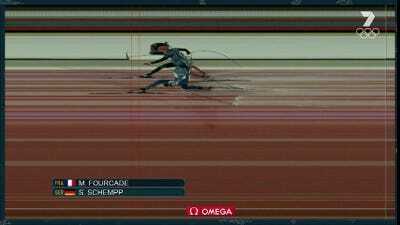 On Sunday, the men’s 15 kilometer mass start came down to centimeters and a photo finish and it also showed just how exhausting the sport can be. 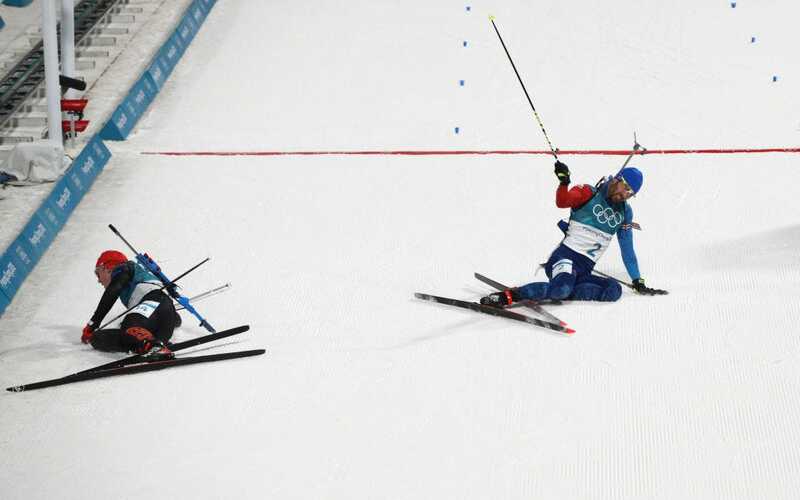 After nearly 40 minutes of gruelling action, Martin Fourcade of France (in bib No. 2) and Simon Schempp of Germany stretched for the finish line.